Ever wonder why we consume so many white potatoes and so little sweet potatoes? If you haven’t yet, it’s a question worth pondering. Especially since sweet potatoes trump white potatoes in nearly every way. They’re lower in calories, provide almost as much protein, have fewer total carbs than white potatoes, and are hands-down more nutritionally dense – with just one medium-sized sweet potato providing around 400% of your daily requirement of vitamin A (not to mention the sweet potato is higher in calcium and vitamin C). Happy, Healthy Eyes: As you already by know, sweet potatoes are an exceptionally rich source of vitamin A, which helps protect the surface of the eye and is essential for keeping your eyes strong and healthy. Boosts the Immune System: Know what else is great about Vitamin A? They actually help increase T cell activity in the body, which is great news since T cells are fight infection. Comes with Anti-Cancer Benefits: There is a very unique protein called sporamin which makes up 80% of all the protein in sweet potatoes. Research shows that these proteins have antioxidant properties and may help protect against cancer. Help Your Wounds Heal Faster: Sweet potatoes contain a special protein called fibrinogen that stimulates the system’s antibodies to close off wounds faster by speeding up the time it takes for blood to clot. Sweet potatoes are also an awesome way to add a little sweetness to your juice recipes – especially if you’d like the sweetness without spiking blood sugar levels. You see, despite their sweetness, sweet potatoes have a low glycemic index and are packed with natural sugars like sucrose that can be easily metabolized by the body. So ready to juice some up? 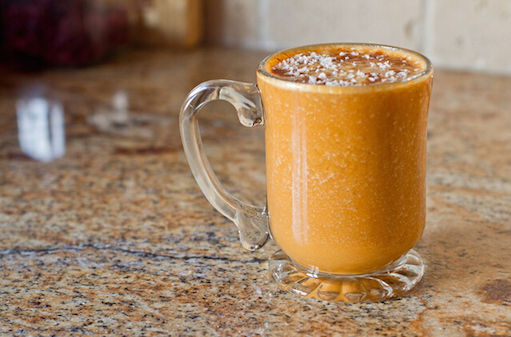 Here’s a roundup of yummy sweet potato juice recipes to try! 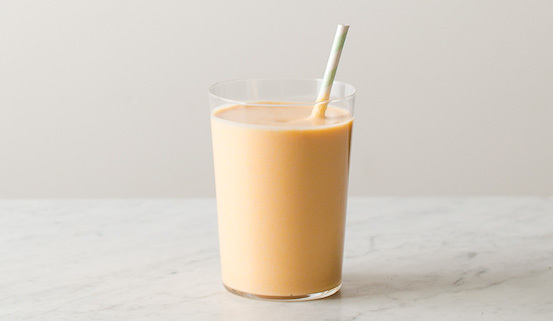 Give yourself a feel-good detox with this oh-so-delightful sweet potato juice recipe that’s sure to not only leave just your taste-buds happy, but your whole body as well. Juice all the veggies and fruits. Stir and sprinkle cinnamon on top. If you do not have a juicer you can use a blender. Peel the sweet potato and beet. Chop the fruits and veggies into big chucks and place in blender. Liquify on high until smooth. 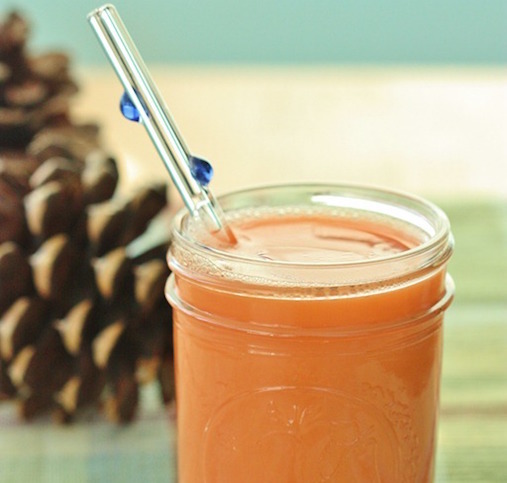 Satisfy your belly with this delicious sweet potato and pear juice recipe. With chia seeds added in the mix, this juice would be great to aid for weight-loss. Juice the sweet potato and pear and stir in the other ingredients. 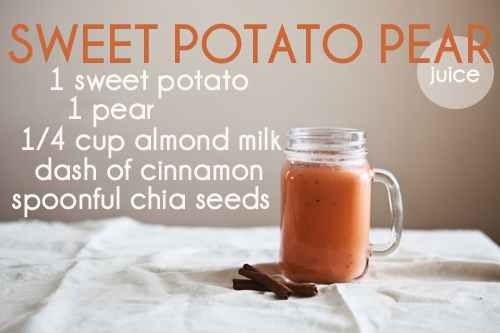 Try this delicious recipe to put a little more “sweet” to your sweet potato juice palette. Puree mixture until smooth, adding more almond milk (1 to 2 tablespoons at a time) as needed, if mixture is too thick. Pour mixture into 2 glasses and serve. Some are probably asking: “How can it be better than ice cream?” Can’t believe it? Then try this recipe out and see. 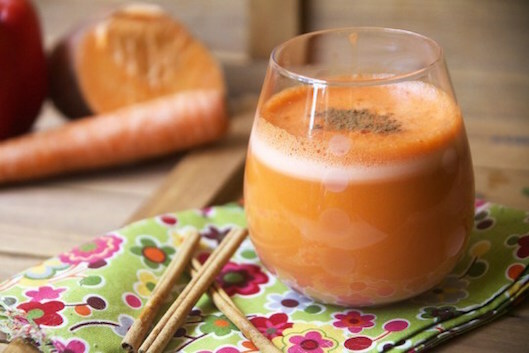 This simple sweet potato juice recipe is perfect for the festive season. With ginger added to the mix, it gives it that warming factor that you’re sure to enjoy while enjoying the breeze of the cold season. Run all ingredients through your juicer, and serve. 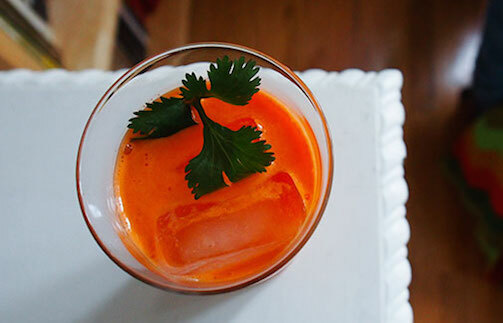 The ginger in this juice makes it warming, and the color is so festive for the holiday season. I encourage you to try it! Sweet potatoes are great source of beta carotene and Vitamin C, and the red pepper is very high in Vitamin C. Consider skipping the packet of powdered, flavored Vitamin C and sipping on something truly delicious. Send everything through your juicer (except the spices) and stir in the spices thoroughly at the end. 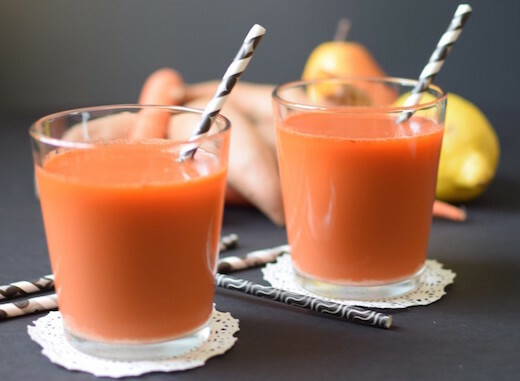 This super simple sweet potato juice recipe is something that you’d want to try if you haven’t experienced the juicing wonders of the sweet potato. Juice ’em! You’ll probably want to play around with the proportions since sweet potatoes (not to mention carrots and oranges) come in such different sizes. We’ve also added Mango to this which was great, too. When in doubt, go raw! 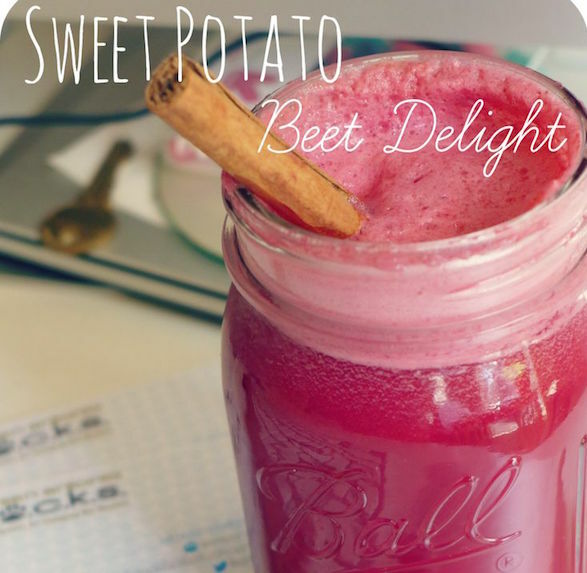 Try this raw sweet potato pear juice recipe and have a taste all of its nutritional benefits. Chop the potatoes, carrots, pear, lemon, ginger and turmeric. Add to juicer. Enjoy right away with a dash of cinnamon for warmth. Can be stored in the fridge for up to 48 hours. Before reading this article, if anyone tells me Sweet Potato Smoothie is better than Ice Cream, sure I am gonna slap him/her. But you nailed it. I have to try this and will let you know the outcome. Great recipes, will surely try it.